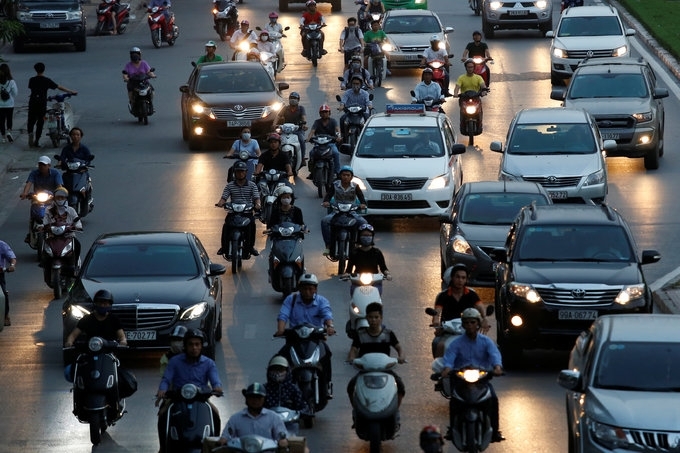 Tariffs on motor vehicles imported from Japan to Vietnam will be slashed to zero from 2029 at the earliest. The tax exemption is part of the Trans-Pacific trade deal signed on March 8 between 11 member countries, including Japan and Vietnam. Industrial products will no longer be subject to trade tariffs between those countries as part of the pact. Vietnam will eliminate tariffs for cars with an engine capacity of over 3000cc 10 years after the CPTPP goes into effect, and the rest will follow suit three years after that, said Luong Hoang Thai, director general of the Department of Multilateral Relations at the Ministry of Industry and Trade. The earliest date for the pact to come into effect for Vietnam is 2019. While the elimination of tariffs under the CPTPP has been widely regarded as a powerful signal against protectionism and trade wars, Vietnam has been known to raise other trade barriers to counter the loss it incurs from the elimination of import taxes. The most recent move was a decree designed to restrict the flow of foreign cars into the country following the abolition of tariffs at the start of the year on cars imported from ASEAN countries under the ASEAN Trade In Goods Agreement (ATIGA). The decree, which took effect in January, requires various registration and quality control certificates from the country of origin for each imported automobile. It also requires importers to have one car from each batch shipped to Vietnam to go through emissions and safety tests. If imported cars cannot pass these requirements, they are instead left to gather dust in storage. Foreign firms like Ford and Toyota have expressed concerns about the new decree. CEO of Ford Vietnam Pham Van Dung said foreign authorities only provide quality assurance certificates for cars sold in their own countries, not for those that are exported. In Europe, some countries provide the certificates, but only for cars that reach the Euro 6.0 emission standard, not for those that only meet the Euro 4.0 standard used in Vietnam. As a result, it is very costly and complicated for traders to obtain the certificates, he said. “Businesses may have to spend two months and up to US$5,000-10,000 to complete the accreditation procedure,” Dung added. 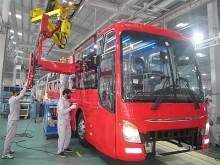 Many Japanese auto manufacturers have decided to suspend exports to Vietnam following the decree. After a two-month hiatus, earlier in March, Honda managed to complete the required paperwork to export the first batch of 2,000 passenger cars to Vietnam. The Vietnamese Ministry of Industry and Trade claims the regulation will protect consumers and create fair competition between local auto assemblers and CBU importers. Vietnam imported only 17 cars with less than nine seats in January this year, compared to 3,700 units in just a fortnight in January 2017. In total, the country imported 536 completely built units (CBUs) between January and February, according to the General Department of Vietnam Customs.